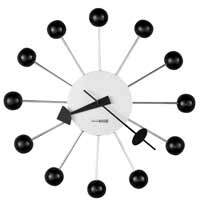 The 625-404 Morrison is part of the modern Studio 24 Collection by Howard Miller. 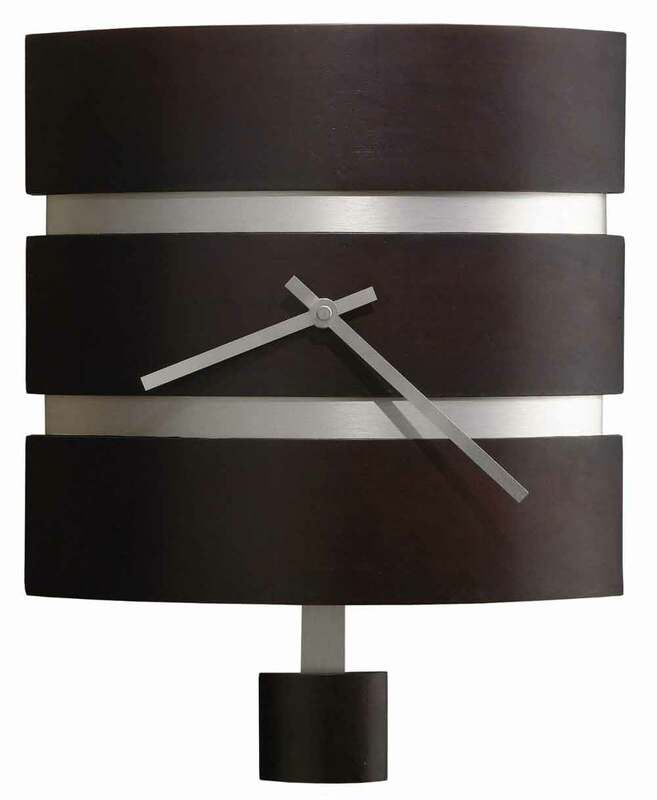 This contemporary rectangular wood wall clock features a curved front with recessed brushed nickel bands, with complementing brushed nickel finished hands. The curved pendulum bob, also finished in Black Coffee, is supported by a bold brushed nickel stick to match the case. Black Coffee finish on select hardwoods and veneers. 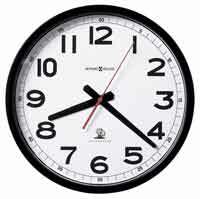 Accurate quartz movement uses "AA" batteries. 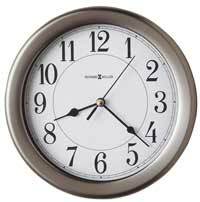 Clocks for sale at The Clock Depot including the 625-404 at discount prices.